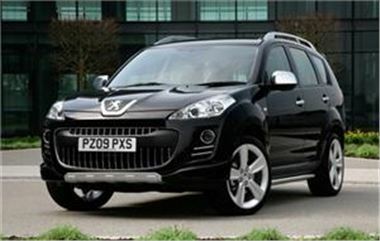 Motorists buying a car this year may be impressed by the standard features on a new model from Peugeot. The 4007 Sport XS is like the SE version of the SUV but - for an extra £1,450 - motorists will enjoy a superior specification. People purchasing the latest addition to the range can expect chrome side bars and door handles, 18-inch alloy wheel, Bluetooth hands-free kit, body-coloured spoilers and leather sports seats. Commenting on the SUV line-up as a whole, Peugeot said each version of the car offers "a class-leading engine with low CO2 emissions and off-road capability". In addition, buyers will benefit from on-demand four-wheel drive and the flexibility offered by adjustable rear seats that also fold electronically, as well as a split-fold tailgate. The Sport XS edition is £1,150 cheaper than the top-of-the-range GT. Another new car from the manufacturer motorists may be interested in is its 308 Coupe Cabriolet.